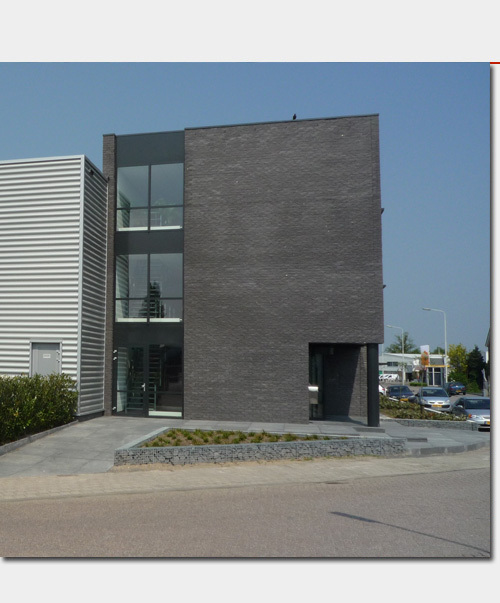 BAF Valves HQ facilities - new HQ facilities in Oosterhout - BAF Valves B.V.
After a long process of evaluations , negotiations and discussions with merely ,local authorities, BAF had convinced all parties involved of the necessity of renewing their facilities in order to allow the business development plan of BAF Valves to be completed. The ambition of BAF Valves to further develop as a global valve manufacturer, engineering and project management organization, also required, next to an extensive investment program of machinery and facilities, a complete new logistic lay out of her office, workshop and warehouse facilities. This had lead to a program where BAF was granted the last required permits in April 2008 and subsequently, the awarded construction company could commence it’s actual program. Under the supervision and coordination of BAF Valves project manager ing. Diana van Iwaarden, in close collaboration with the architect, (Van Schendel Architects) main contractor (Vink BV) and subcontractors, the challenging and prestigious project had commenced. Facing a three stage building program where the new machining area was to be finalized in July 2008 and large machinery would be transferred from the old workshop to the new area. The new HQ and office facilities were finalized in Dec 20th 2008 , allowing to transfer all staff during the x-mas holiday season, thus leading to a minimum of production and engineering delay. First stonelaying was performed on Aug 15th, by A.J. Sweep Sr. founder of the Sweep Holding of which BAF Valves BV is part. The second phase will of the workshop area will commence in Oktober 2009 and should be finalized Jume 2010 and will provide enough space to expand the required testing and assembly areas. The entire project should be finalized after completion of phase three, which will involve parking and outdoor facilities. The complete project will be finalized after Q3 2010.